See to Read is dedicated to the sight and the success of Oregon’s children and will be providing free vision screenings at public libraries across the state. The Elks Children’s Eye Clinic at Oregon Health & Science University’s Casey Eye Institute is joining with the Oregon State Elks, Oregon Library Association, and the Oregon Lions, to detect vision problems in 3- 7 year olds before these vision disorders unnecessarily threaten a child’s development. 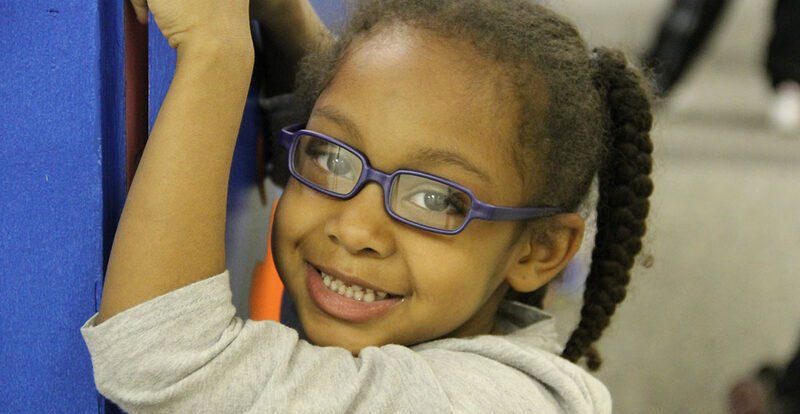 At least 15 percent of all preschoolers have an undetected vision problem that needs to be treated with glasses, which is why Oregon’s legislature has mandated a new law that requires all children entering kindergarten to show proof of a vision screening. See to Read is a part of this state wide initiative, aiming for earliest detection. Trained screeners from the Oregon Elks and Oregon Lions will be administering these free vision screenings at public libraries to children ages 3-7 years old. See to Read is a program driven by the notion that no child should begin learning to read and write with an undetected vision problem. Check out the calendar for our screening event schedule.